Sparring without headgear will ruin your face if you do it enough. 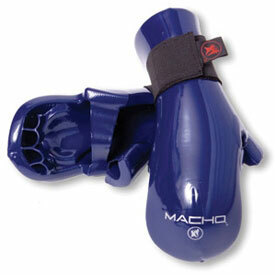 Protect your mug with the comfortable Macho Dyna Head Gear. 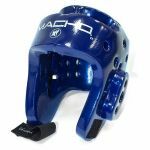 Made from vinyl-dipped foam, the Macho Dyna foam armor is light, breathable, and will sufficiently protect your head and face as you spar with an opponent. Macho martial arts headgear is the industry standard for the best sparring headgear and this foam helmet shows it. 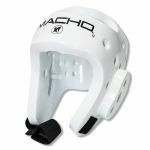 The 7/8" thick foam headgear is light and, with the velcro chin strap, stays securely on your head. 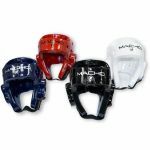 The lightweight headgear is designed with breathable comfort holes that make protecting your head during martial arts sparring comfortable. 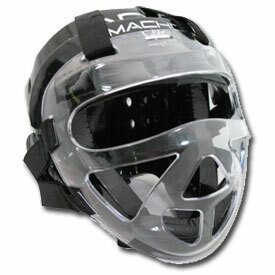 Most importantly, you don't even have to be good at martial arts to use this sparring mask. If you think about it, foam armor is the kind of thing you most want to make sure you have when starting martial arts class for yourself or your child. Many dojos even require karate headgear for sparring. 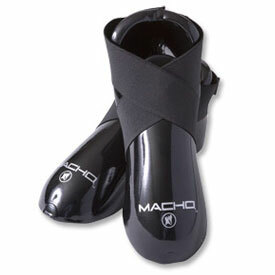 The Macho Dyna foam armor comes in five colors: Red, black, white, pink and royal blue. 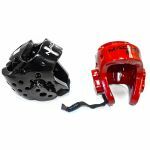 The different colors for the foam Dyna sparring mask don't make a difference in how protected you are, although some people say red and black is the most intimidating, so that might make a difference against an opponent. 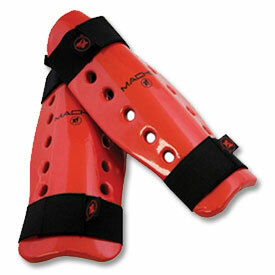 The vinyl dipped foam sparring gear also comes in four sizes: Small, Medium, Large, and XL. 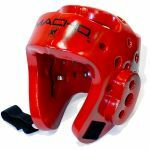 As you can see in the size chart below, just measure the circumference of your head about an inch above your eyebrows (or where your eyebrows would naturally be if you had them) to determine the best size to match you with your sparring mask. 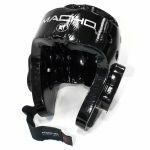 Whether you're looking for some youth sparring headgear with maximum visibility, or you just want some protective foam padding for your martial arts training, the Macho Dyna Foam Headgear is the head protector to get.